4 Shahajalal Avenue (BTCL Exchange), Sector#06, Uttara, Dhaka-1230. Hazrat Shahjalal International Airport, Kurmitola, Dhaka 1206, Bangladesh. Dr. Refatullah's Happy Arcade (2nd floor) House # 3, Road # 3, Dhanmondi, Dhaka. Akhanda Tower (Press Market) Block-Kha, Road-1, Plot-12, Section-6, Mirpur-10, Senpara Parbota, Dhaka. BTI Centre Plaza, Ground Floor, Farmgate, Tejgoan, Dhaka-1215. Ramna BTCL Compound, Ground Floor, Gulistan, Ramna, Dhaka-1000. 33/2 Uttor Jatrabari, Nowab Stone Tower, 1st Floor, Dhaka-1204. Savar Thana Bus Stand, Savar, Dhaka. Opposite of New Market Main Gate, BTCL card centre, New Market, Azimpur, Dhaka. Holland Centre, Shop# 218, 2nd Floor (Mobile Market), Middle Badda, Dhaka . Hasnabad, 1st Floor, Sajeda Bhaban, South Karanigong, Dhaka-1311. Shop# 43-A, Level - 4, Block # C, Mobile Zone, Jamuna Future Park, Dhaka. BTCL Telephone Bhaban (Opposite of DCC Market), Gulshan-1, Dhaka 1212. Holding # 220/1, West Kafrul, Taltola, Ground Floor, Begum Rokeya Sarani, Mirpur, Dhaka. House # 14, Sonargaon Janapath Road, Sector # 12, Ground Floor, Uttara, Dhaka-1230. House # 92, Malibagh Shahid Faruk Taslim Road, (Opposite Sohag Bus Stand), 1st Floor, Malibagh, Dhaka-1217. Manik Mia Avenue, BTCL Compound, Opposite to Shangsad Bhaban, Sher-e-Bangla Nagar, Dhaka. House : 07, Block: B (Main Road), Ground Floor, Banasree, Rampura, Dhaka. Bahadur Market 14/111, Hazratala Mohalla, Faridpur Sadar, Goalchamat, Faridpur. Noor plaza, Ground Floor, Joydebpur Chowrasta, Joydebpur, Gazipur. House # 75, Anjali Super Market, Ground Floor, Manikgonj Sadar, Manikgonj. 424 Jubili Road, Jagadhatri Para, Ward No.- 2,Khal East, Munshiganj Sadar, Munshiganj -1500. Sufia Plaza Ground Floor, 123 B.B. Road Chashara , Narayangonj. Kali Bari Road, 1st Floor, Shachin Mansion, Adalat Para, Tangail. Islamic Studies Group Bhaban (1st Floor) Station Road, Satmatha, Bogra. Rubir More, Naogoan Sadar, Naogaon. 499 Baten Khar More, Ifront of Islami Bank, Chapai Nawabgonj Sadar, Chapainawbgonj. Tati Market (1st floor), Traffic Moor, Pabna. House # 356, Khan Bhaban (1st Floor) New Market (South Side), Station Road, Rajshahi. Holding # 812, Ma-Mansion, 1st Floor, Station Road, Moktarpara Moor, Sirajganj. Alam Corporation, (1st Floor), Jail Road, Munshipara, Dinajpur. Troyee Nir, Holding No-0119-00, Ward No-05, Goshpara, Kurigram. Rangpur Bhaban, Station Road Ground Floor, Rangpur. Nurjahan Mansion (Ground floor), Bagura Road,Alekanda , Barisal-8200. Azhar Mohal, Mohajon potti, Sadar Road, Bhola. 29, Ronalose Road, Kamar potti, Jhalokathi. 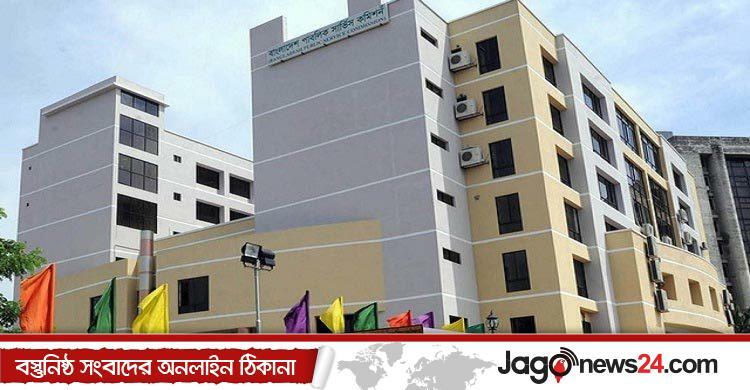 533/1, Prithi Bhaban, College Road, Muslimpara, Patuakhali. Bismillha Market,K .Ali Road, Bagerhat. H.S.S. Road, Ground Floor, Kutum Community Center, Jhenaidah. Amin Plaza (2nd Floor) 68/B, K D A, Avenue Khulna. Shatabdi Bhaban Market (2nd floor), 92, N.S Road, Thana Traffiq more, Kushtia. 177, S.S. Plaza, M.R. Road, Magura. টেলিটক একটি পাবলিক লিমিটেড কোম্পানি। জয়েন্ট স্টক কোম্পানিতে নিবন্ধনকৃত টেলিটক বাংলাদেশ লিমিটেডদেশের একমাত্র রাষ্ট্রীয় মালিকানাধীনমোবাইল অপারেটরহিসেবেযাত্রা শুরু করে ২০০৪ সালের ২৬ ডিসেম্বর। গ্রাহকদের উন্নতমানের পণ্য ও টেলিকমসেবা দেয়াই টেলিটকের মূল লক্ষ্য - যাইতিমধ্যে দেশের মোবাইল ফোন খাতেবিপ্লব নিয়ে এসেছে দেশ এবং দেশের বাইরের কোটি মানুষকে সম্পৃক্তকরে।নানা চড়াই-উৎরাই পেরিয়ে টেলিটক এখন অনেকটাই পৌঁছে গেছে সাফল্যের দ্বারপ্রান্তে। টেলিটক বাংলাদেশ লিমিটেড গর্বিত যে এ সাফল্যেরপেছনের প্রযুক্তি ও প্রকৌশলগত জনবলেরশতকরা ১০০ ভাগইএদেশীয়, আর এটা নিঃস্বন্দেহে প্রমাণ করে টেলিটক সত্যিই সাধারণ মানুষের ফোন – আমাদের ফোন!